You don’t need a REALTOR® every day, but when you are ready to buy or sell your home, you want the best. The REALTORS® at The Berkshire Group are highly trained, with years of experience you can count on to take the stress out of your real estate transaction. We help people just like you buy million dollar mansions or starter condo’s, providing superior service to all of our clients regardless of price. Our Associate Brokers are Certified Negotiators, crucial in getting the best deal possible for you. Our innovative home marketing programs are structured to best and most efficiently present your home, and your needs, to gain the best advantage in the market. And if you are looking to buy a home, our Associate’s will walk with you every step of the way. If you are relocating to the Denver area, our Relocation Team knows the Front Range better than most everyone, and stands ready to help you make the best choice in selecting a community and home to serve your unique needs. From experienced Brokers to dedicated marketing, professional transaction management to independent quality reviews, the Broker Associates at The Berkshire Group listen to you, and have the tools to help you solve your real estate needs. Be sure to save your "Favorites"
If you are moving from afar chances are you are unfamiliar with the many Denver metro communities. That's when we can help. As natives or long-time residents of Colorado we can help you find the neighborhood that best suites your lifestyle, budget and commuting requirements. We also offer area familiarization tours, just ask! We at The Berkshire Group believe an informed buyer or seller is a happy one. We have created both Buyer and Seller Orientation Guides to provide to our clients. 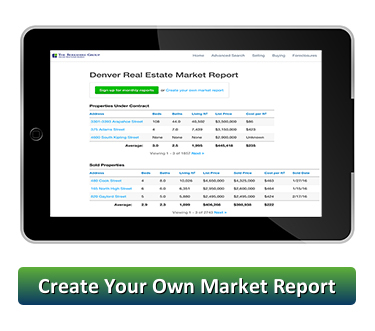 These guides contain everything you need to know about Buying and Selling a home in Metro Denver. Call us for a free, no-obligation consultation.